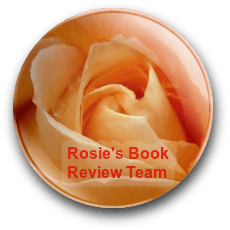 I am very fortunate, and proud, to be a member of Rosie’s Book Review Team and it was through this, and with the encouragement of Terry Tyler to try something different (thank you! ), that I originally picked up The Turning of the World by John Privilege. At the end of my review for that, which you can read here, I said that I looked forward to seeing what Mr Privilege produced next. This time there was no hesitation, I snapped it up and here it is. 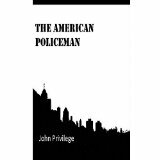 The opening paragraph of The American Policeman contains a sentence which starts off as one thing, ends as another and chills you as it progresses and whilst telling the reader everything, and immediately hooking you into the story, it gives nothing away. I love this about Privilege’s writing, his ability to slip in little snippets that hint at just what the character is feeling, like this. Timothy Conlan, Con for short, is our American Policeman, a District Inspector in London and Anna Gadek is his Detective Sergeant. A body has been found and murder suspected which wouldn’t seem that unusual for us but in this story that word hasn’t been uttered for over two years…and yet it is clear there has been a lot of death. There are mentions of Before, the Breakdown and the Restoration, no huge amounts of detail but enough to give you an idea as to the world they are living in now. Con is unusual. A well-liked hero he struggles to understand the reactions of those around him as he feels nothing. However he fits in as he’s taught himself accepted behaviour and I very much liked him and the way he was written. He likes to have his team working around and with him, Doctor Schelling, Detective Danny Galvin and the Twins, Althea and Donna, as well as Harry Stopes. Sandrine Burnett is the witness, a Beak, on her rounds. Interest is built quickly for the reader, little hints as to how people are living now after whatever it was that happened, the way things are being run and managed and the politics. For some reason interference by the politicians, initially in the form of Jenny McCann, comes early in this case which only adds intrigue as to who the victim really was. The murder was brutal but nothing like as horrific as when a second body is found and Con and the team are on the trail of a serial killer, one with a grievance against those in authority, and the vengeance this killer exacts is ruthless. There is so much that I want to tell you about this book but I know I can’t. I can say I thoroughly enjoyed it, I didn’t guess the twist but I wasn’t looking for it preferring instead to just enjoy the story as it unfolded. And the ending…oh, the ending was just what it needed to be and was done perfectly…I encourage you all to read it for yourself. What a wonderful review, has me adding the book to my TBR list. Thanks Georgia. Thanks Rosie, that’s great news 🙂 I hope you enjoy it and if you haven’t already I’d definitely add The Turning of the World as well.